I've just returned for my trip to the Philippines, I was in Manila for a 3 day Small Strobes, Big Results workshop as well as a speaking engagement for Nikon. 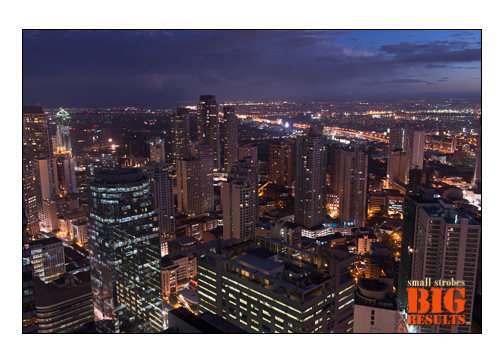 Manila is a fascinating place, busy for sure! Traffic jams the likes I've never seen before, and a metro population of about 11 million people. 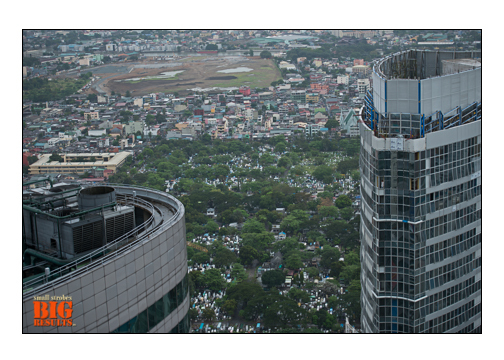 While in Manila, my host Tony Tan arranged for me to gain access to a roof top of Metro Bank in central Manila (Makati City). 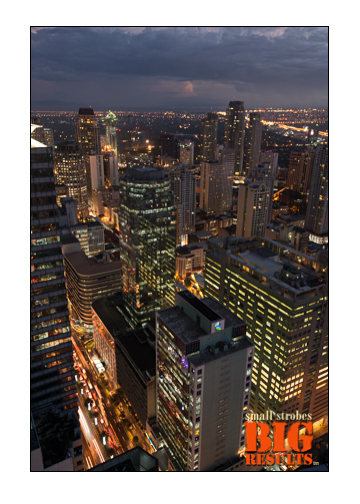 Here are a few city views from that vantage point. Check out the Cemetery between the buildings. This the the South Manila Cemetery, strange site. Here is one of the photo taken during the SSBR workshop. 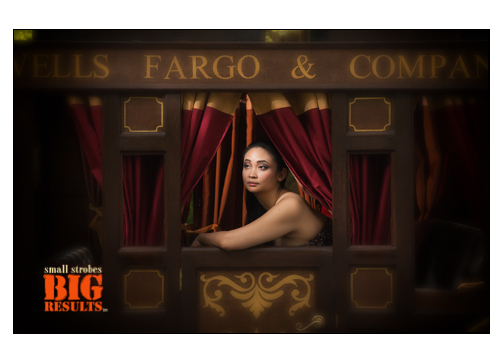 I photographed Pamela Tan in this really cool old Wells Fargo Stage Coach. The lighting was pretty straight forward. 2 Speedlights used, the key light was an SB-800 with barndoors attached and the second was straight flash to fill the inside of the coach. 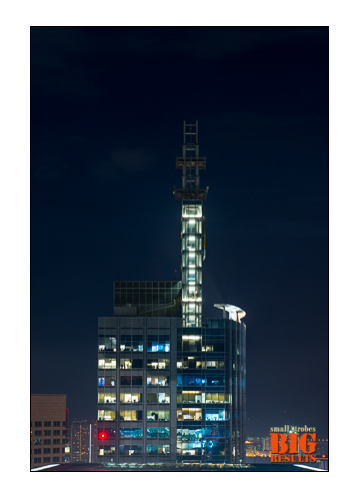 Here is the final version with a bit of post processing. Nik Color Efex Pro 2.